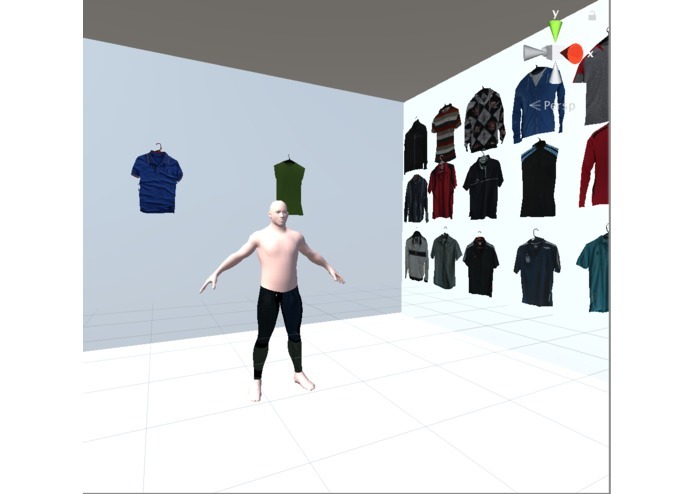 VRClothing is a virtual reality platform that allows users to see how they look in new clothes. We have all experienced the time when we wish to try on an item of clothing found on Pinterest, but unable to due to the constraints of our current online retail systems. 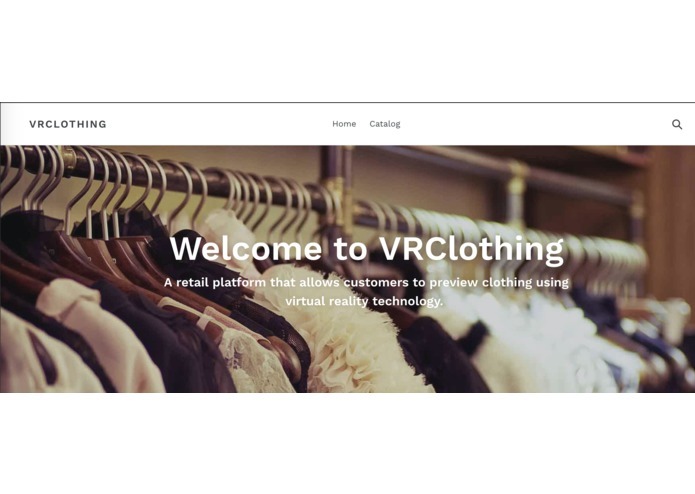 Our product VRClothing aims to solve this problem by providing users with a novel method of interacting with clothing items sold by retail companies. Certain customers may not be able to try on a clothing item due to monetary reasons. If a customer wants to see how they look in a new item of clothing, he or she must travel to the store and physically try it on. This is a very time-consuming process. In the early hours of the hackathon, we through a diverge-converge design cycle. For the divergence process, our team generated as many ideas as possible for a hackathon using methods such engineering tools such as SCAMPER ("Substitute, Combine, Adjust, Modify, Put, Eliminate, Reverse"). For the convergence process, our team used a team count and a Pugh chart as to eliminate the infeasible and arrive at the most promising idea. For the remainder of the hackathon, we continued to refine our product, focusing on lower-levels of design requirements and subsystems. Unity and Oculus Rift The primary VR engine we utilized was Unity and our main programming language is C#. The Oculus Rift provides the means of connecting the user to the virtual reality world. Leap Motion In order to track the movement of the hands and finger motions of the user, we utilized Leap Motion. The Interaction Engine allowed us to work with to connect this method of user input to VR. The Leap Motion sensor is attached to the laptop running the Unity scripts. Shopify The Shopify e-commerce platform was used to develop the front-end store of our retail service. The website currently houses six clothing items and provides the user with the ability to enter the delivery address and the payment information. This is our first time working together. We are proud of the extent to which we were able to get to know each other in a short span of time and collaborate in an effective manner. Furthermore, this is our first time working with the Leap Motion platform. We were able to learn quickly the workings of the platform from official documentation, online tutorials, as well as further mentorship. Although a design process may seem to go smoothly, there are always risks involved and we must prepare for these tumultuous moments through risk management. For example, just 8 hours before submission, our team encountered significant difficulties with the projection of clothing onto the 3D human model. In the end, we had the make certain compromises in order to push forward. We each had different styles of solving problems. It was interesting to recognize these differences and to learn from each other. 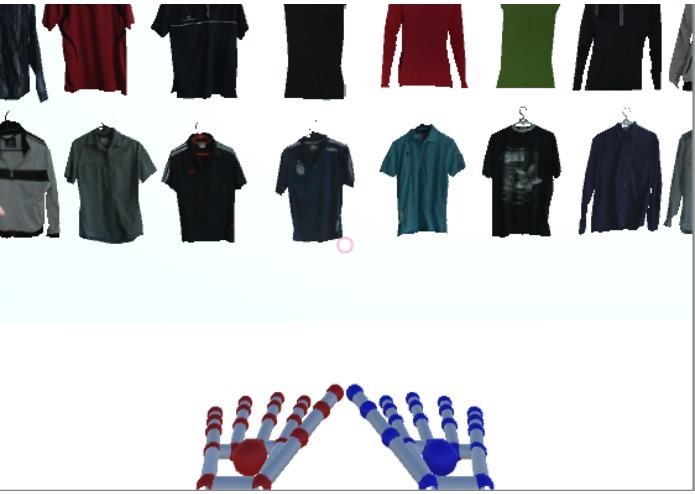 Implement machine learning and computer vision as to further tailor the human 3D model as to include parameters such as body shape, skin color, height, and etc. I added a facial recognition algorithm which would take pictures or video feed to customize the avatar further. I also helped with design at all phases of the process, and was responsible for much of the logic within the engine. Worked on User Interface development, setting up models and design assets. Also worked on integration with Oculus Rift and Leap Motion inside of Unity.